The comedian's original stand-up special premieres on the streaming service September 18. D.L. Hughley is returning to his roots as a stand-up comedian with a new special on Netflix and we’ve got an exclusive sneak peek at the trailer. D.L. 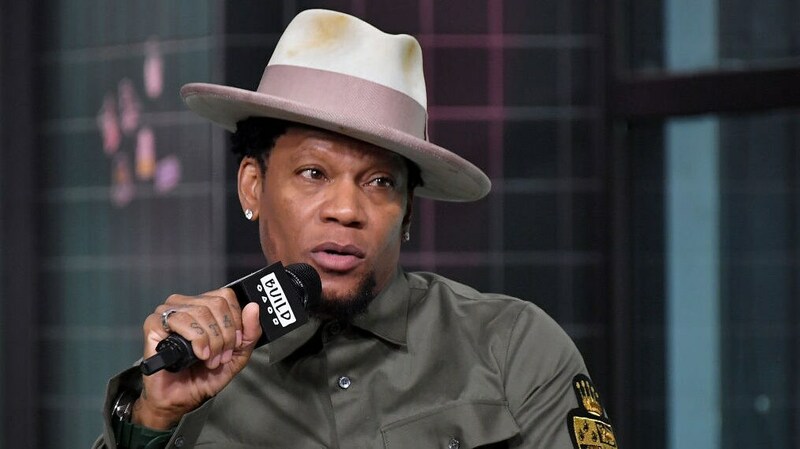 Hughley: Contrarian hits the streaming service on September 18 and in it, the actor, comedian, and political commentator goes in on just about everything. Performing at the Merriam Theater in Philadelphia, Hughley keeps his audience in hysterics as he tells it like it is about the hypocrisy of racism in America, being a man during the #MeToo movement, why cell phones are ruining relationships, and parents who don’t follow warning signs. The new comedy special isn’t the only thing you should be paying attention to on Netflix this month. The streaming service is adding a long list of unmissable content to its lineup this month including Black Panther (9/4); City of Joy (9/7); and Disney’s A Wrinkle In Time (9/25). Netflix also just announced plans to release an hour-long special from Wanda Sykes in 2019. This marks Sykes’ fifth stand-up special and the first the comedienne has done for the streaming service. She’s currently featured on ABC’S black-ish, which she was nominated for a 2017 and 2018 Primetime Emmy Award for “Outstanding Guest Actress in a Comedy Series.” Her previous comedy specials include the 2003 Wanda Sykes: Tongue Untied, 2006 Wanda Sykes: Sick and Tired, 2009 I’ma Be Me, and 2016 What Happened… Ms Sykes.